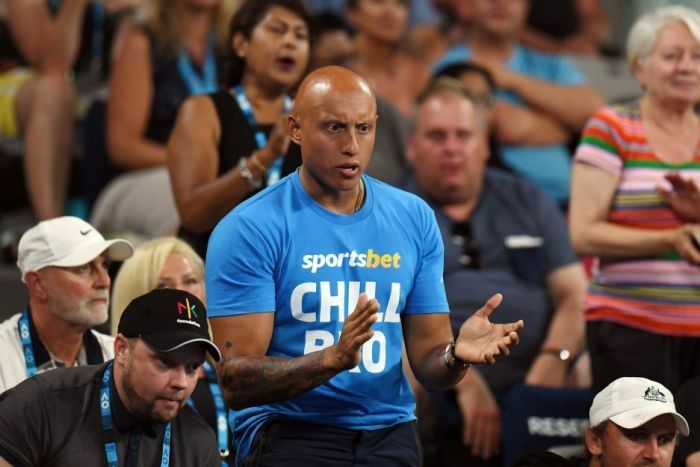 You may have noticed the controversy surrounding Christos Kyrgios, brother of professional tennis player Nick Kyrgios, at this year’s Australian Open. For those who have not, I’ll explain briefly. As pictured, Christos, knowing that he would be broadcast as part of his brother’s match coverage, spectated from the sideline dressed in what could only be described as an obvious marketing stunt for the betting agency, Sportsbet. Understandably, the stunt caused quite a stir and was met with swift criticism for promoting gambling during a timeslot and event that children would likely be viewing. Very little has been mentioned, however, as to where the law stands on this issue. Are there restrictions on these sorts of behaviour? If not, does the law need to change? Regulations as to the advertisement of gambling vary state to state. In NSW, gambling adverts must not be false, misleading or, deceptive. They must not encourage law-breaking, depict children gambling, suggest that gambling will improve a person’s financial position, or promote the consumption of alcohol while gambling (Betting and Racing Regulation 2012). Further, they must be ‘published in accordance with decency, dignity and good taste’ (BRR 2012) and comply with the Commercial Television Industry Code of Practice which provides that gambling adverts are not to be displayed during any program primarily aimed at children, and airing between 5:00am and 8:30pm. News, current affairs, and sports programs are, currently, exempt from this provision. But the Government has recognised the need for change nationally. As part of the ‘Broadcast and Content Reform Package’, restrictions on gambling advertising are set to be applied to all sporting events aired between 5:00am and 8:30pm. What this means is that gambling advertisements will not be able to be shown from five minutes before a live event starts, until five minutes after the event has concluded, including breaks, both scheduled and otherwise (Department of Communication and the Arts). These changes are expected to be introduced in March 2018. This does not constitute legal advice.